Seasons greetings to all our friends, family and fellow book lovers.... It's hard to believe the year is wrapping up - life can get so hectic with work, school, kids, pets, etc that it seems like the train will never stop! The beauty of this holiday season is that we, the Ndulgent Bloggers, are here to celebrate with you all that is good with our crazy world. Despite the chaos, we assure you there are some divine new stories out that are guaranteed to grab you for a moment or several and carry you away to a holiday oasis. Please join us for our SEVENTH annual Happy Hunky-days!! Twelve fun filled days of Christmas where we treat you with gifts of joy and happiness (aka excellent books to place on your TBR pile and very yummy eye candy!) 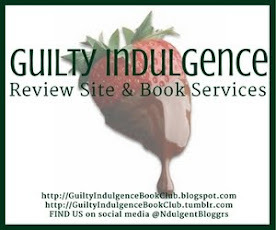 Savor the calorie free treats and join us daily for more fabulous Ndulgent reads! All Dermot wants for Christmas is a mate. Because a mate will lead to cubs, and a family to spend the holidays with. But since Dermot, a paramedic, hasn't met his special lady yet, he agrees, as he always does, to work Christmas so others can enjoy time with their families. However, fate is about to step in and give him just what he needs. Vicky is a reindeer shifter who has lost her Christmas spirit. Can Dermot help her find it before it's too late? I was wondering how long it would take to me to run across a reindeer shifter in a holiday series! Good news, there’s more Bear Brother books to enjoy.